We have conclude some dinosaurs facts in another post of Dinoleaks. Today, we give you essential facts about dinosaurs. Every dinosaurs lover should be well acquainted with. Next fact, there are still plenty of dinosaurs that haven’t been discovered yet! We only know the Dinosaurs from its fossil and fossilization process is a very rare process. Most scientists found Dinosaurs’ fossil who lived in late Jurassic (150 million years ago) and late Cretaceous period (80-65 million years ago). Dinosaurs rules the Earth for about 150 million years! For your information, human only have 100 years-max lifespan, and Dinosaurs have more lifespan. From the history, human civilization and rule the world only got going about 9,000 years ago. Compare it with Jurassic timescales that about 150 million years, after that, they extinct. From that fact, we can conclude that dinosaurs might be the most successful creatures ever to colonize the Earth. 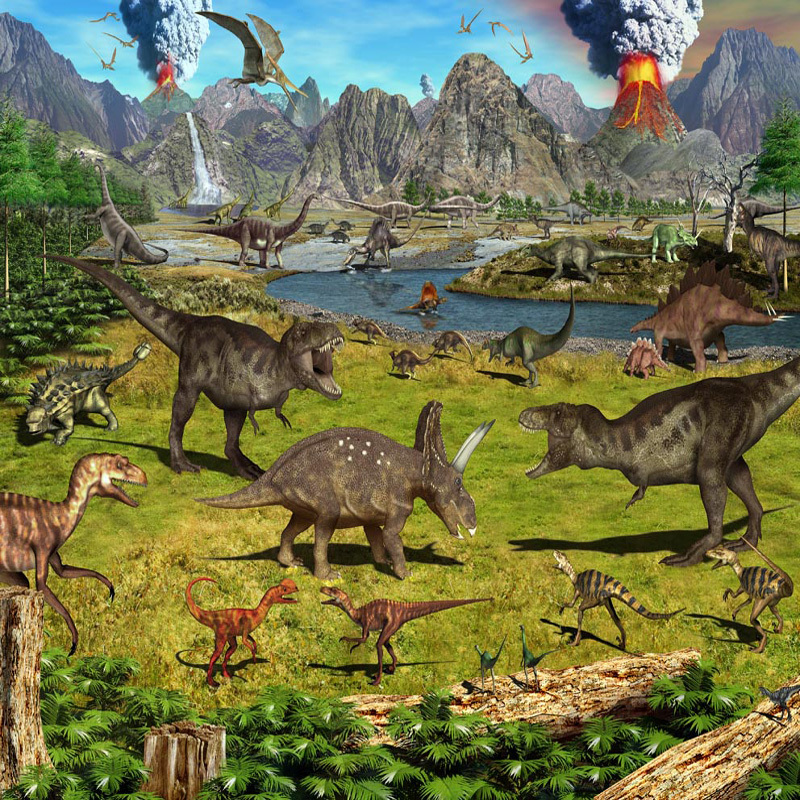 4th Fact, Dinosaurs were splitted into two main groups called as Saurischian (lizard hipped) and Ornithischian (bird hipped) which we’ve describe about that groups here . Saurischian include the Theropods and Herbivorous Sauropods. The Ornithischian groups, Ankylosaurus and Stegosaurus were in this group. Another surprising fact is Dinosaurs evolved into birds! Although not every paleontologists are agree with this statement, but there are many evidence points to modern birds. They like small dinosaurs with small and feathered during the late Jurassic and Cretaceous periods. Please remember that this evolutionary process happened so many times. Those are five amazing facts about Dinosaurs. We will give another surprising facts about the biggest lizard ever.